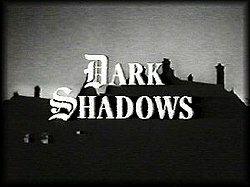 The original Dark Shadows was a gothic soap opera which aired from 1966 to 1971. The focus was on the Collins family, and like all soap operas, each program was full of melodrama. Unlike most programs of its time, though, Dark Shadows dared to go where most did not – into the world of magic, vampires, werewolves, ghosts, and other creatures that go bump in the night. In the original, Barnabas Collins was turned into a vampire by Angelique Bouchard, a powerful witch who had been the handmaiden of Barnabas’s love Josette du Pres. Upon declaring his love for Josette, Angelique cast a spell on her to fall in love with and marry Barnabas’ uncle. Afterwhich, Angelique manipulated Barnabas into marrying her. When he discovered that she was a witch, he tries to kill her and in the process she turns him into a vampire. The above is far cleaner and simpler than the story presented in Tim Burton’s Dark Shadows that was released today. In Burton’s tale, Barnabas comes to America as a young boy in the late 1700s to expand the Collins’ family fishing business. Angelique is a young servant girl who fancies Barnabas, even as children, and is hurt by him when he confesses, while making out with her, that he loves someone else. Understandably angry, Angelique kills his parents, causes his soon-to-be wife to plummet to her death and resurrects Barnabas as a vampire when he tries to kill himself. When he still refuses to love her, Angelique has him buried in the ground. Nearly 200 years later, he is dug up in 1972 – the town (once known as Collinsport) is now Angel Bay, only four ships remain in the employ of the Collins family, and the Collins family’s vast wealth has been significantly reduced. The casting, like any Burton film, is second to none. Mainstays Johnny Depp and Helena Bonham Carter are entertaining, and very natural – as they are no matter what they do with Burton. Michelle Pfeiffer, as Elizabeth Collins, easily emotes the required strength, fear, and frustration of maintaining the Collins business and name, all while raising a daughter – Chloe Grace Moretz – on her own. Rounding out the cast is Jonny Lee Miller (always happy to see him working) as neglectful, opportunistic Roger Collins. Jackie Earle Haley as the groundskeeper and Eva Green is the voluptuous witch, Angelique. The casting, sadly, is about the only good thing I can talk about. The film flits between drama, comedy, horror (attempted), and back again that it’s hard to tell what it’s trying to accomplish. Characters are adored in the bright colors of Charlie and the Chocolate Factory & Alice in Wonderland, but their eyes & movements are directed like Corpse Bride. On the one hand, it feels like Sleepy Hollow – creepy town, ghosts & vampires, murder most foul – and then it feels like Mars Attacks! – villain is both dangerous, and silly so it’s hard to take it seriously. Mixing comedy with horror is done so often these days (none so brilliantly as the recent The Cabin in the Woods) and Burton is a mastermind of the absurd, so it’s quite disappointing to see one scene where Barnabas is the vulnerable man out of time, confused by cars and enamored with lava lamps and then in the next scene we’re reminded that he’s a vampire who drains people because either a) he’s thirsty or b) he doesn’t like them. Plus, the entire story hinges on the fact that this guy can’t control his libido. Barnabas wouldn’t be a vampire if he both hadn’t slept around with Angelique while being in love with Josette, and hadn’t thought that Angelique was worth screwing, but not worth marrying since they were of a different social class. If he’d treated her with respect, she wouldn’t have been so unfortunately spurned. Without giving away a spoiler, the set up they’ve created to allow for a sequel is all propagated by his inability to control his urges. The real moral of the story isn’t the importance of family, but that if you can keep it in your pants, you won’t be turned into a vampire. By the way, did I forget to mention that while he’s trying to restore the Collins family name and combat the witch who lusts for him that there’s also two other side storylines: one involving ghosts and the other a love story for Barnabas in modern times. Too much, too much. When Burton cooks, this movie is entertaining and fun. Ufortunately, with all the diverting plot lines, the film feels unfocused and unsure of itself. If it had gone completely to the goofy side, as the trailers suggest, it would have been a fun, full-on, quasi-Beetlejuice experience. Unfortunately, the editing in the trailer feigns a movie that we’d like to see for a movie that is too unsure of its’ footing to give real laughs or scares. The cast is superb as always, but the story is all over the place. I imagine another version of this film shot like Sleepy Hollow, but keeping the comedy style and I think it would have felt more dark and dangerous. This felt like the dark side of Wonderland instead of a modern gothic soap opera. Worth seeing in the theater, but on the cheap.